School Bus Drivers are (quite literally) the driving force of a successful public education system. If you’re not sure where to turn when writing your cover letter, we’ve got your back. Score some extra credit by checking out our school bus driver resume sample and writing advice. And keep reading to find a free cover letter sample that you can download, as well as hints on how to write your own. Or, skip the writing process altogether and let our ingenious cover letter builder do it for you simply by answering a few questions. 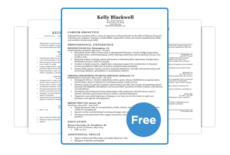 Run through our exhaustive catalog of industry-specific cover letters all of which are completely free to download. I am writing in regard to the School Bus Driver position for the Los Angeles Unified School District. I have over seven years of experience operating commuter vehicles, as well as nearly four years of experience driving a school bus in the 4th largest school district in the country, Chicago. My positive attitude and enthusiastic demeanor are well-suited towards interacting with young kids daily. Students frequently expressed their joy in having me as their school bus driver and twice nominated me for a School Bus Driver of the Year award. I began my driving career as a Municipal Bus Operator and during my time working for PACE, I was able to increase my yearly on-time performance by an average of 82%. As a School Bus Driver for Chicago Public Schools, I regularly attended school functions as a field trip charter and have experience transporting all age groups (elementary, middle, and high school). I successfully completed emergency medical training courses with certifications in CPR, AED, and basic first aid. I’m equipped to operate lifts and ramps necessary in the transportation of students with disabilities. My professional driving and safety records are spotless, in addition to having a clean personal driving record. The Los Angeles Unified School District requires a level of dedication and attentiveness to safety from bus drivers that my prior experience certainly showcases. I would be thrilled to continue my school bus driver career as a member of your exceptional fleet. Please, feel free to contact me at your earliest convenience. Thank you for your time. A cover letter is an opportunity to tell your story, not just your pitch for a job. Keep these quick tips in mind when writing your school bus driver cover letter. Transportation directors are looking for drivers with a superior driving and safety record. You should already have (or be actively pursuing) a Commercial Driver’s License with the School endorsement. There should be a sentence right at the top of your cover letter stating exactly what your CDL classification and endorsements are. Visit your local DMV for details on the necessary requirements to drive a school bus in your state. You can also refer to the Federal Motor Carrier Safety Administration (FMCSA) website for news and federal guidelines. However, if you have a history of driving school buses, then a hiring manager will assume you’ve already acquired the relevant licenses and endorsements. No reason to be redundant. Safely getting kids to their classrooms is your top responsibility as a school bus driver. Those in charge of staffing want to know that you’re dedicated to that task. Was there an instance where you needed to implement your emergency response training? Do you have any CPR training or understand how to administer diabetes medication? Explain all of that in your cover letter. Hiring managers need to know they can rely on you in the event of an emergency. Positivity and friendliness are excellent traits to have for any profession that interacts with young children on a daily basis. Strike a friendly tone when writing your cover letter. This establishes a good personality that’s suitable for kids. You don’t have to bust out the thesaurus, just check out our complete list of the best adjectives to use on your resume and cover letter. In our cover letter sample, the candidate points out that they were kind and friendly to students. So much so that the kids nominated them for an award. Recruiters want to be guaranteed that their employees aren’t sticks in the mud. Don’t come off robotic or unapproachable in your cover letter. A crabby school bus driver makes for an unpleasant commute for children and unhappy parents at the bus stop. Take some time with your cover letter and pay attention to how it sounds when you read it. Follow these three tips when writing your own school bus driver cover letter and you’ll be at the front of the line for an interview!